Villa A/C, 2 Bedrooms villa with always sunny, south facing pool & pool terrace. The pool is on 1st floor south facing, all day sunshine, very private terrace. Private & lovely pool & terrace with all day sunshine, from sunrise to sunset. Welcoming covered areas besides part of the pool terrace, complete with BBQ. Colourful and comfortable, light and bright open-plan lounge & dining room. The open plan, light & bright dining area enjoys equally all round great views. Enjoyable indoor dining with a good size table and plenty of chairs available. 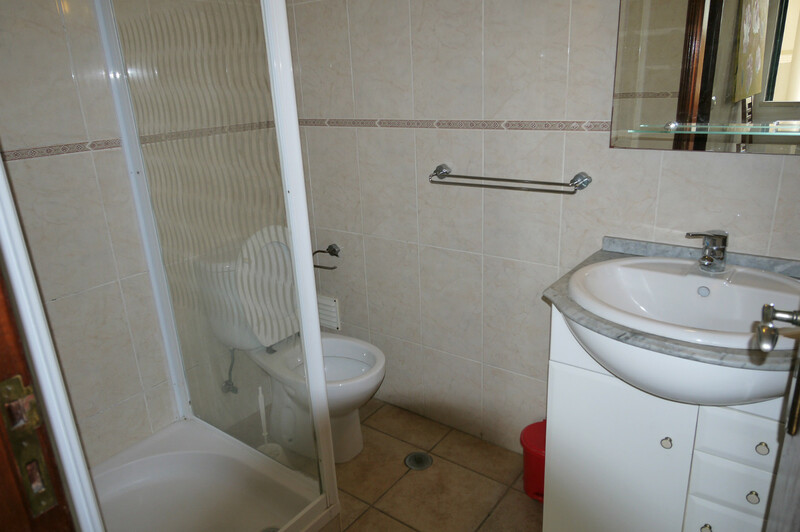 On the ground floor there is also a bathroom with a walk in shower, basin & WC. From the combined, lounge/dining area there is also another door to the BBQ & Pool terrace. 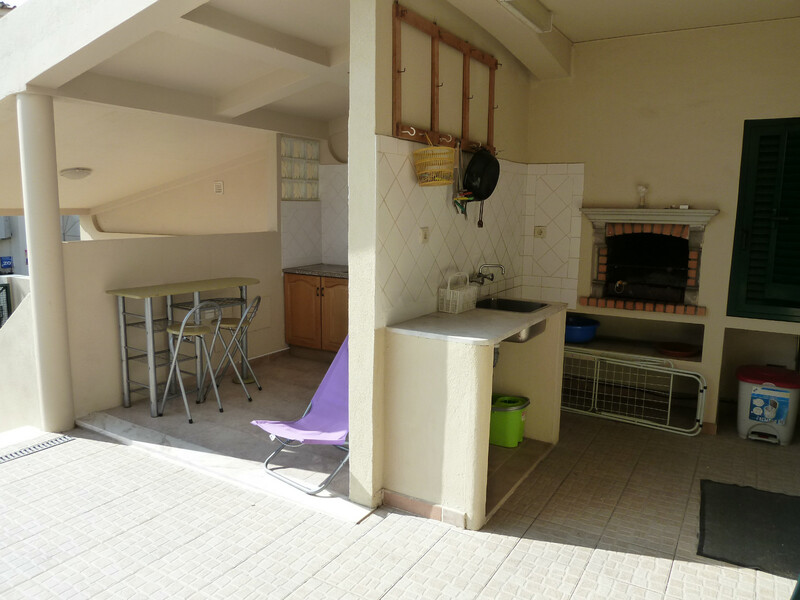 The compact, and complete kitchen, has good views and door to terrace & BBQ. The 2nd Floor Master Bedroom is complete with A/C, private bathroom & terrace. 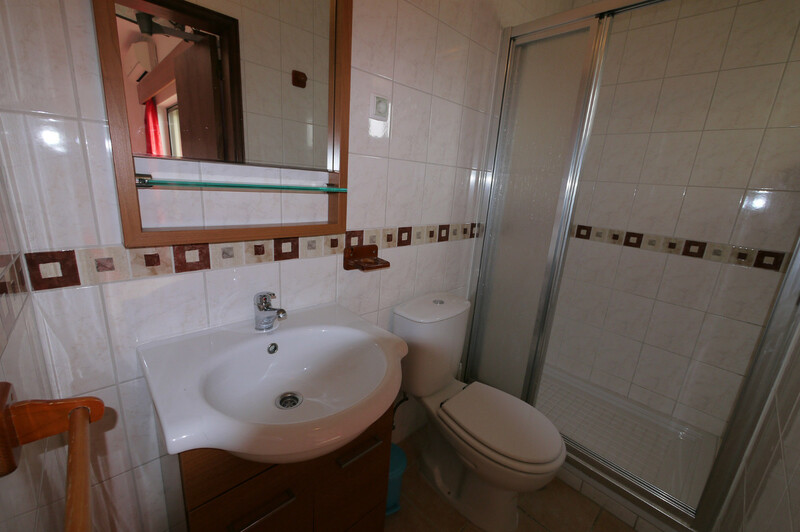 The fully tilled twin bedroom private bathroom, with shower, basin, mirror & WC. The A/C 2nd floor twin bedroom has an extra bed if required & private bathroom. 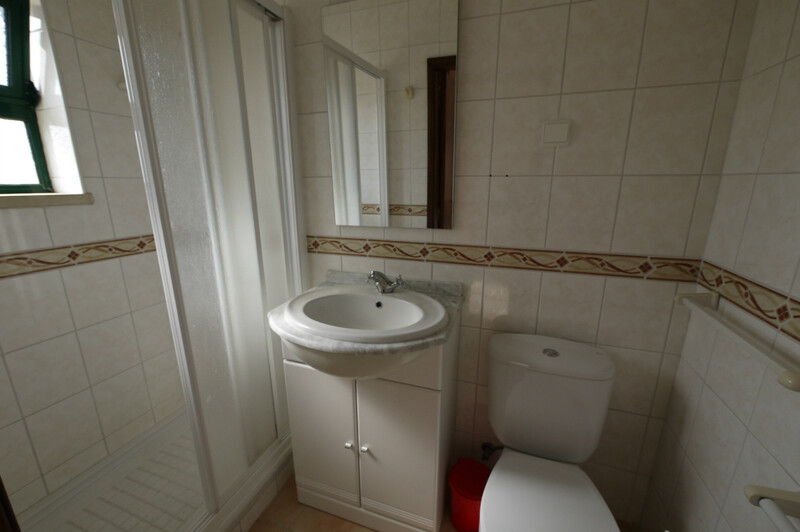 Ground floor, fully tilled bathroom has a walk in shower, basin, mirror & WC. The villa overlooks this park, only 50 metres away, ideal for children to play. Your near, local picture postcard & very popular Albufeira old town beach 1 klm. Beautiful long beach 1.2 km from villa, located besides the Fishermans beach. Another nearby, very popular. The beautiful "Blue Flag' Praia da Oura beach. 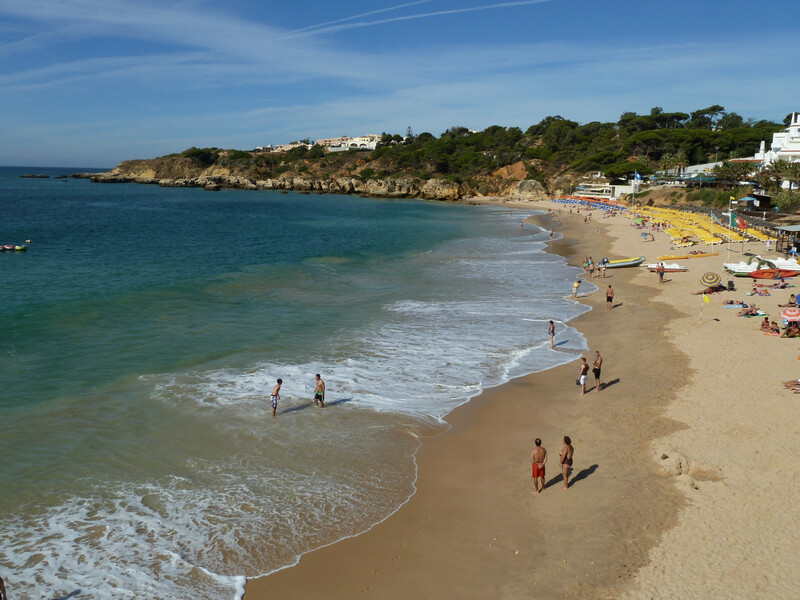 Enjoy & visit several of Albufeira's fisherman's colourful & beautiful beaches. 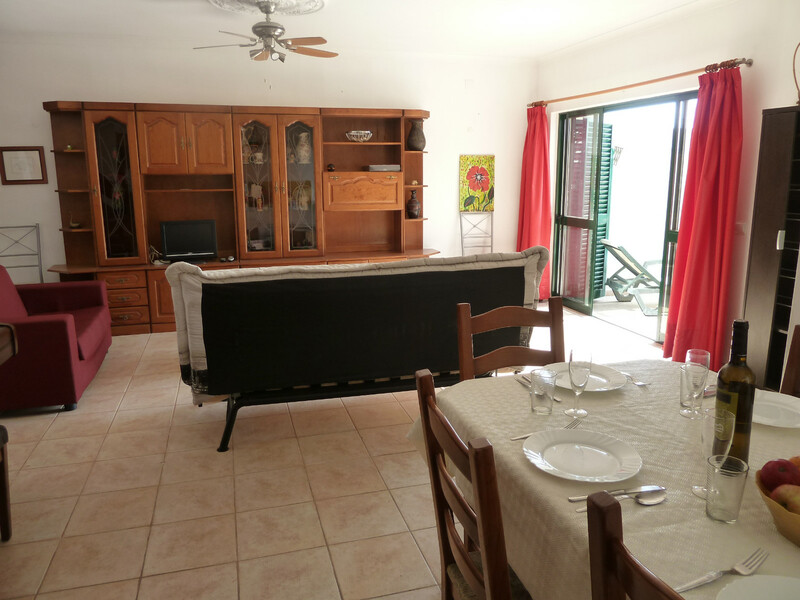 2 Bedrooms, Air Conditioning Villa, Private Pool with a Great, Central Albufeira Location. For 2-7 persons + Infants. 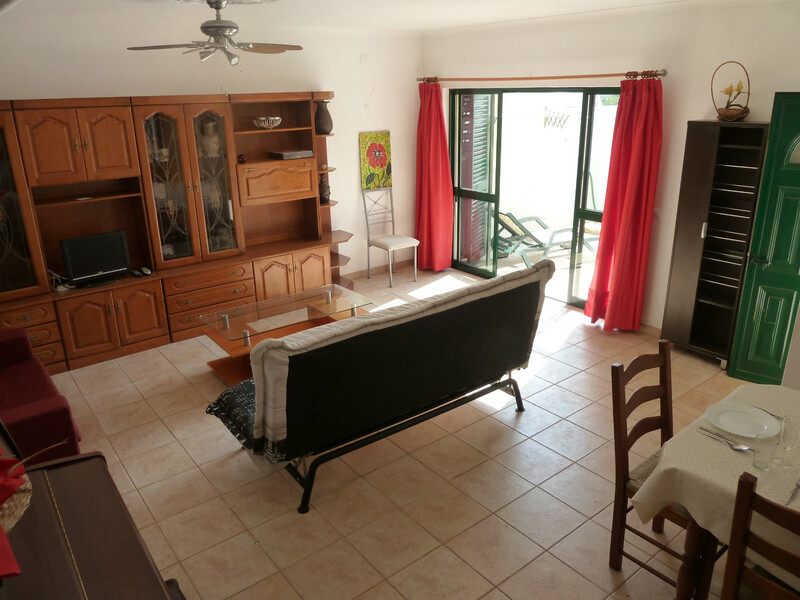 Perfectly Located, Air Conditioning, 2 bedroom Villa in Calicos, Central Albufeira Location, with Easy Walk to Albufeira Old Town & beaches, with a very sunny, private pool! 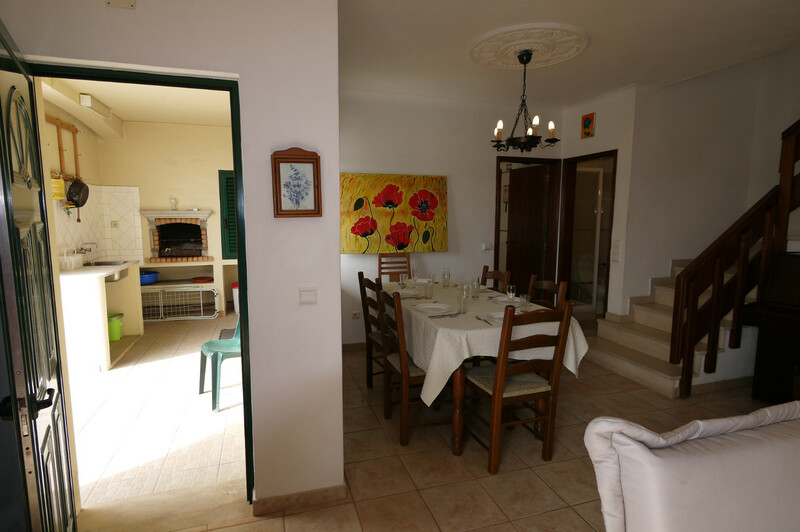 A very sunny, south facing villa, with all day sunshine from sunrise to sunset. 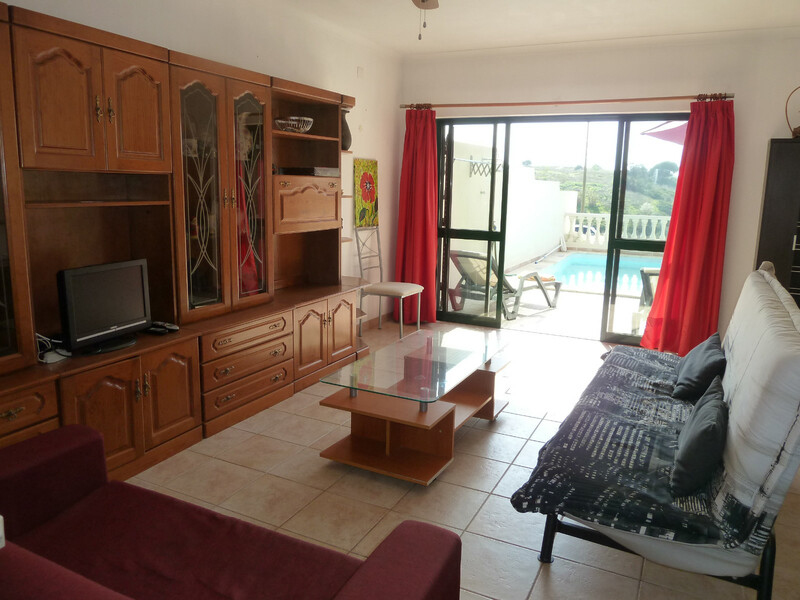 Perfect central Albufeira location, ensures you are close to absolutely everything, but, with a very nice, quite location. It’s close to everything, ensuring you the perfect holiday. 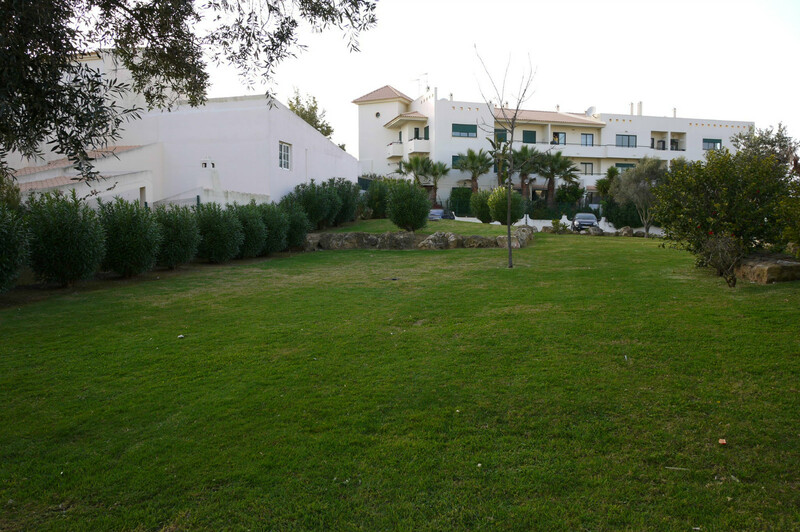 Short walking distances, to many cafes, snack bars, restaurants, take aways, big supermarket, Albufeira hospital, several parks. As for the lively & colourful Albufeira old town with many lively restaurants, shops, bars, clubs is under a km away to the many beachfront restaurants & the beautiful Fisherman’s beach is just a further 200 metres. Villa Calicos is a very nice, home from home air conditioning 2 bedroom, 3 bathroom villa with a nice private pool. 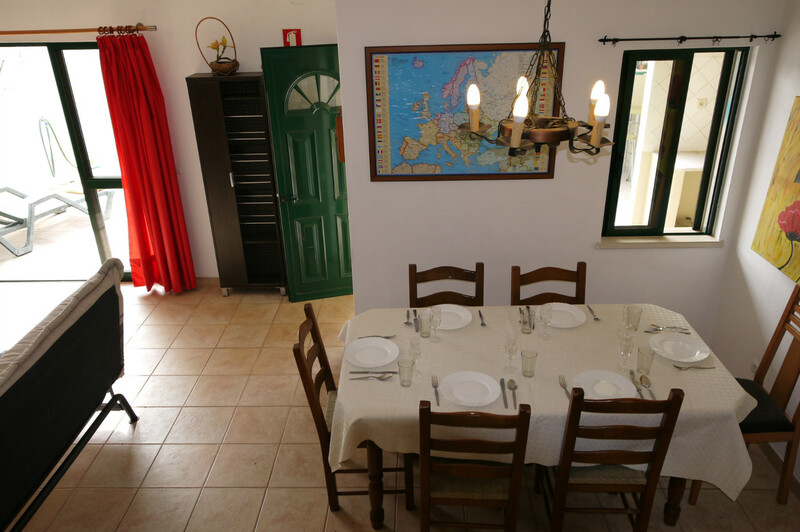 The villa is big enough, and comfortable enough for up to 7 persons, plus infants with cots. Villa Calicos has 2 Bedrooms with air conditioning in the master bedroom, each with own private bathroom and sunny balcony with views to pool, terrace, local small park and other local surrounding villas and nice green areas. 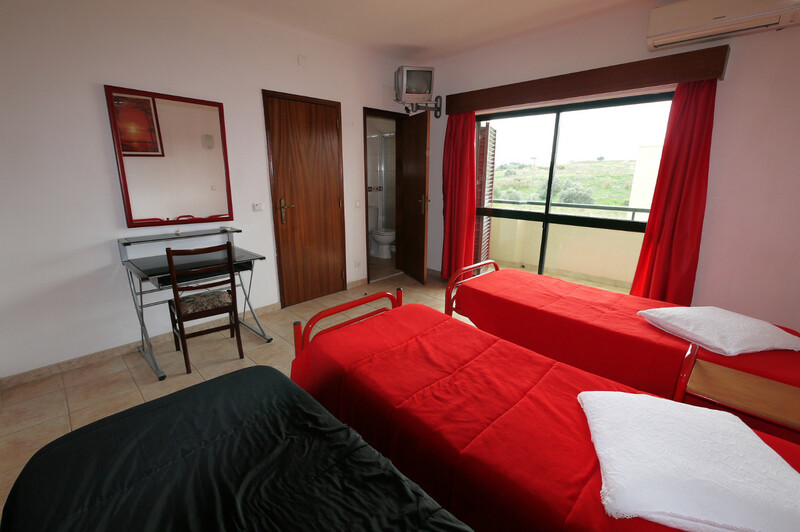 The two, spacious bedrooms are located on the first floor of the villa with great all round views of Albufeira and green surrounding areas. Each of the 2 bedrooms are located on the first floor, and both have a private bathroom with a walk-in shower, bedside cabinet/s chest of draws, mirror, buit-in wardrobes, private terrace with double glazing sliding doors with green shutters. There is also a safe in the double bedroom. On the first floor of the villa, where most of activity is spent, there is a spacious open-plan light & bright, combined lounge/dining area, in the lounge area, there is a flat screen Cable TV with many channels, DVD player with many DVD’s provided for all ages, for your enjoyment, complete with comfortable sofas, as for the the dining area, it is complete with table and chairs, there’s also an extra bathroom on the ground floor with a walk-in shower, the lounge and its double glazing double doors open out to the pool terrace and pool. Off the dining area there is the fully equipped all electric compact kitchen with a dishwasher, free standing, large fridge/freezer, all utensils, many pots and pans, cutlery, electric cooker oven, hob, plates, glasses, in fact everything you need, the kitchen is well located besides the covered outdoor covered built-in BBQ complete with a sink and worktop wth cooking utensils, and overlooks the outdoor pool, terrace & BBQ. On the ground floor and entrance to the villa there is a playing area or resting area with shade and a outdoor shower, a few stairs up leads to the villa terrace, pool and villa entrance. The villa is spacious with a private, large south facing pool terrace and private pool with endless amounts of sunshine from sunrise to sunset, complete with table & chairs for outdoor dining, a large parasol and sun beds. The very sunny, south facing private pool is a good size 5.00 metres x 2.82 metres with steps, with one depth of 1.40 metres, forming a delightful and private area to enjoy and relax. The washing machine is outside in a covered area, complete with table and chairs. Adjoining the kitchen there is the spacious, light and bright open plan lounge / dining area with table & chairs for indoor meals. As for the adjoining lounge with direct views to pool and terrace, it has a small flat screen TV with many cable channels, complete with comfortable sofas, one being a double sofa bed, there is also a very effective ceiling fan, if required, overlooking the spacious, always sunny, south facing terrace and pool. On this floor there is a walk in shower, basin and WC. The light and bright stairs lead up to the first floor landing with a computer table and chair, plus space to put files, and off this landing there are 2 spacious bedrooms, (one twin & one double), each with double glazing doors with attractive dark green shutters each with its own private balcony overlooking with the pool, terrace and surrounding villas, and nearby green areas. It highly unlikely you will find a villa like this one, at these great prices. But, you be the judge of that. 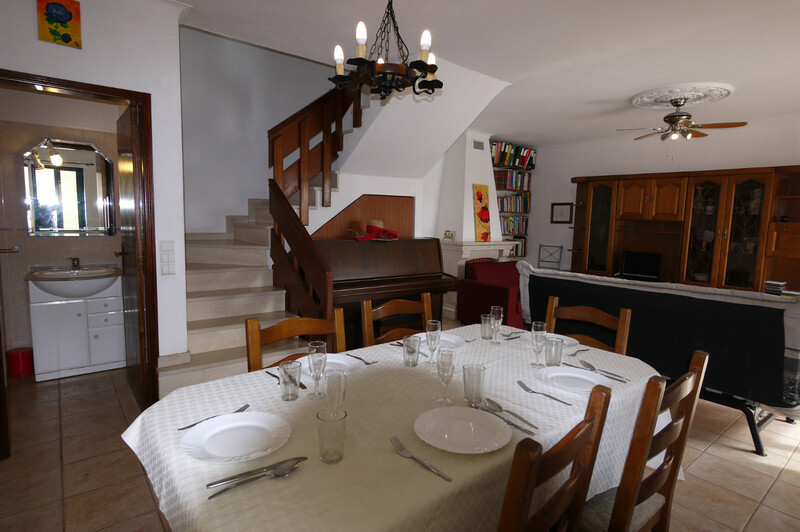 This villa offers you, not just great prices, but a comfortable home from home cozy villa, perfectly located with an excellent central location, away from noises of the nearby Albufeira town centre just over 1 km away. 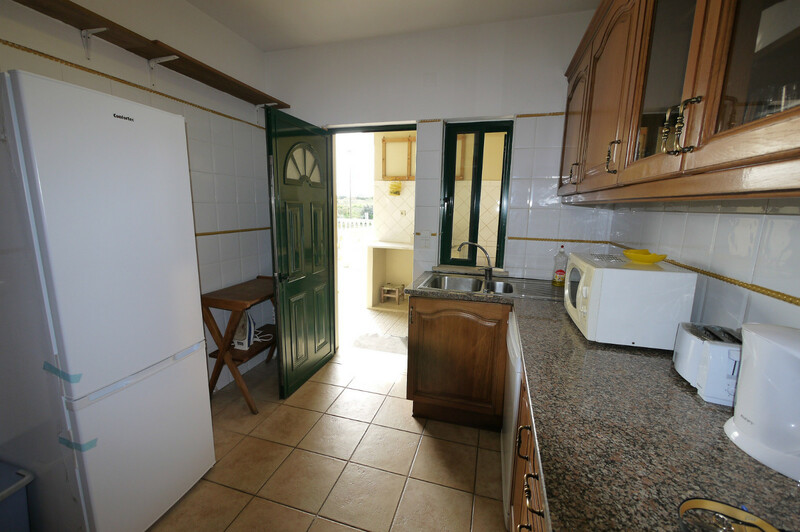 The villa has a prime location, close to a road with traffic, in the lovely area of Calicos with several local cafes, restaurants, supermarket, etc.. all near your doorstep, yet, very near the heart central Albufeira old town, including the superb fisherman’s beach just 1.2 km away, a leisurely (10-15 minutes walk away). The gated villa entrance is on the ground floor, but the fun and enjoyment of your holiday starts on the first floor, with a very private pool terrace, we put a high fence around the villa, so that your privacy is assured when you are enjoying the beautiful sunny climate of beautiful Albufeira. 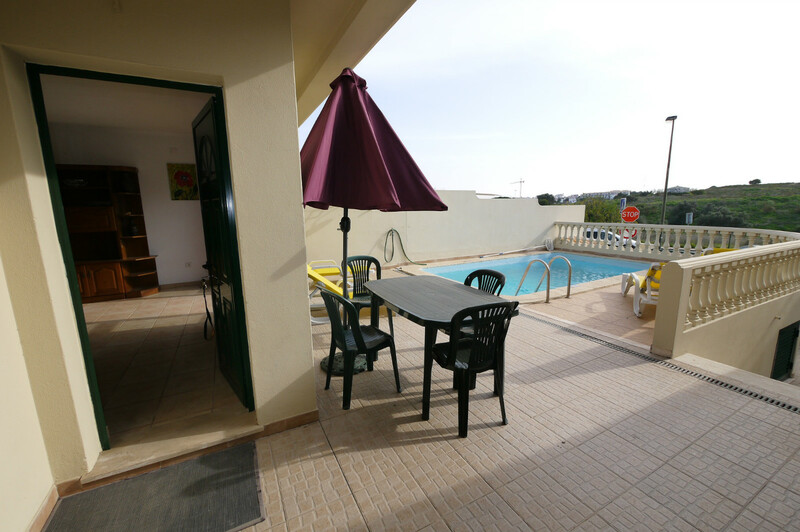 The villa is perfectly located, away from the very centre of the hustle and bustle of busy & lively Albufeira town centre! However, as you are close to a main road, you may encounter traffic noises, when outside, in the pool area. Yet! The Villa Calicos is close to absolutely everything! 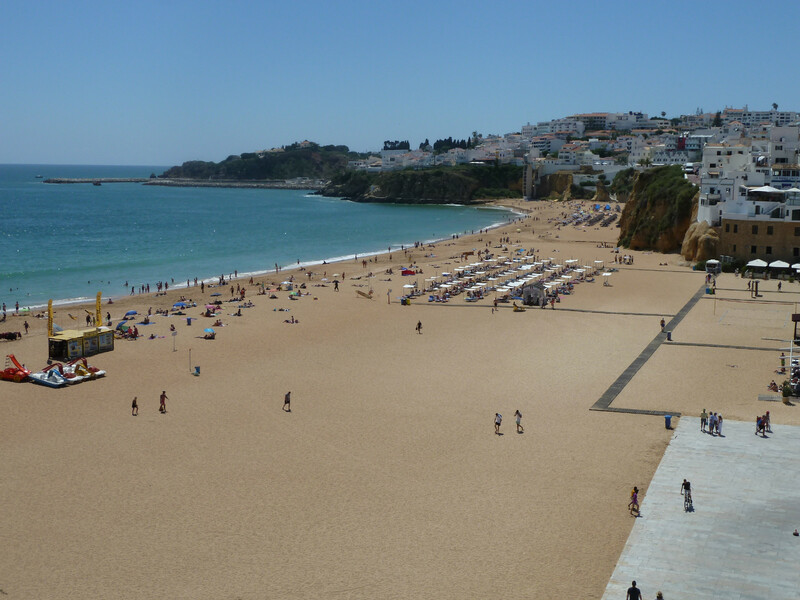 Including the amazing and famous Albufeira Old Town and colourful and lively Fisherman’s beach. 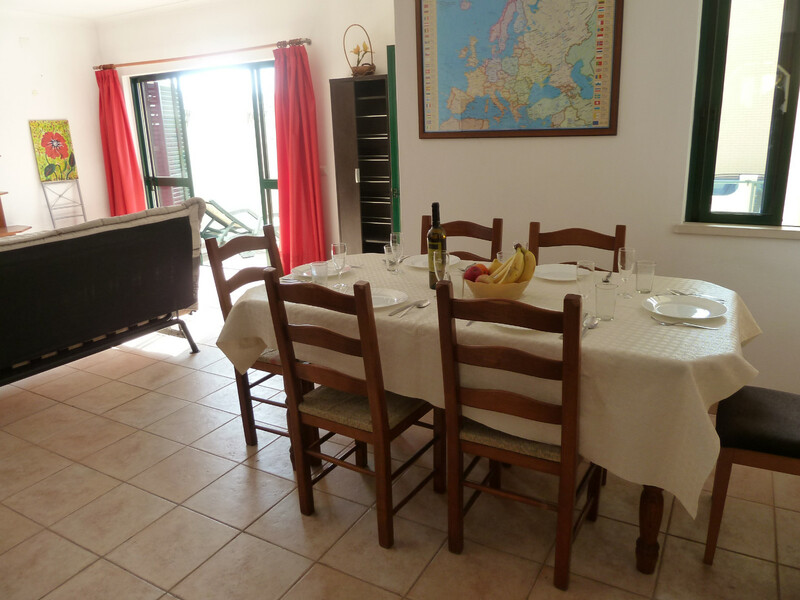 Short distances to literally everything:- 30 metres from two local cafes / snack bars, 50 metres from a little park, which you can see from the villa, ideal if you have active children, 350 metres to few restaurants, take away restaurant, more cafes & snack bars, a large supermarket, hairdresser, laundrette, a large park, including Albufeira hospital and more. Not forgetting, this area is home to one of the best restaurants in town ‘A Cocheira’ just 800 metres. 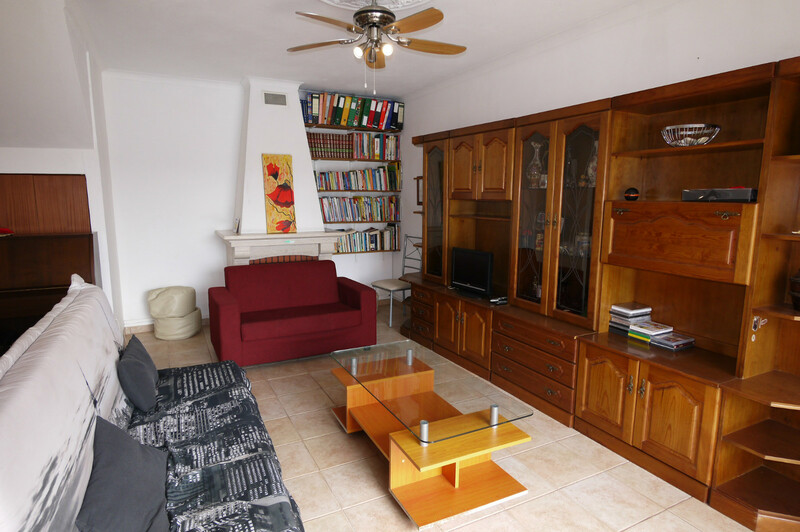 Super, Spacious, Centrally Located 2 Bedroom Villa with Private Pool. As for the lively and pretty Albufeira old town centre with pretty narrow streets offer a wide and varied choice of many restaurants, shops, lively bars, clubs and the famous fisherman’s beach is an easy, leisurely walk via a scenic pavement route of only 900 metres away, an easy 10-15 minutes walk to the old town with an extra 500 metres to the beautiful sandy beach. If you don’t fancy going to the old town, there are 2 very good local cafes that are open late every night, they serve excellent coffee, cakes, sandwiches, many snacks, burgers, etc, including meals, all at ridiculous low prices, because these two cafes are very much cafes for the locals. Not forgetting on the best and most established quality restaurant is only a short 5-10 minute stool. 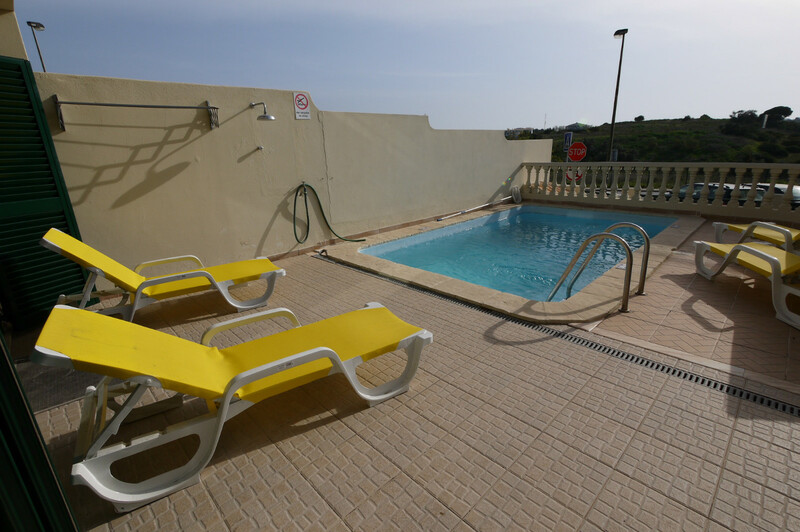 As the bright lights and colourful Albufeira, is a very short walk away. Come night time, Albufeira Old Town comes alive with lots of bright lights, restaurants with live music, along with many bars and clubs to suit all tastes, all open until the early hours, along the beautiful golden sands of Albufeira. 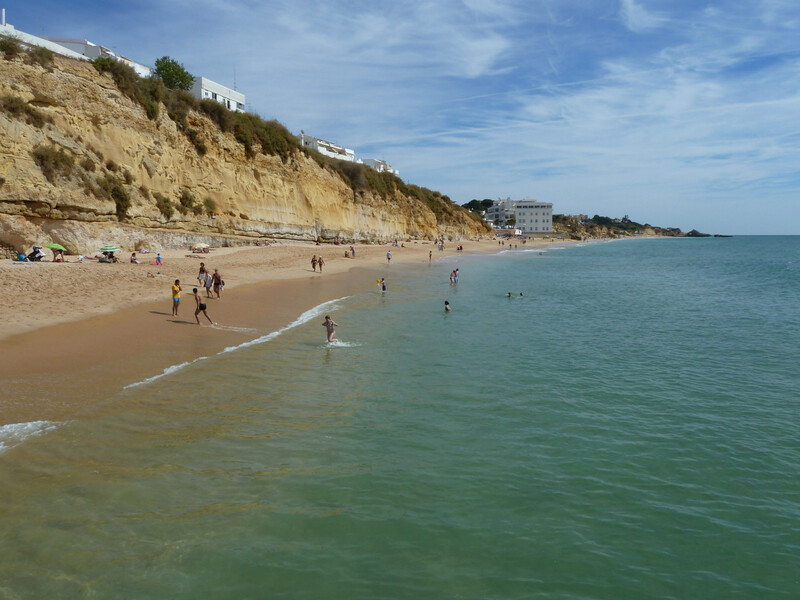 There are many beautiful sandy beaches throughout Albufeira, none so than your local sandy, Fisherman’s Beach close by at only a very short and pleasant stroll 1.2 km away. 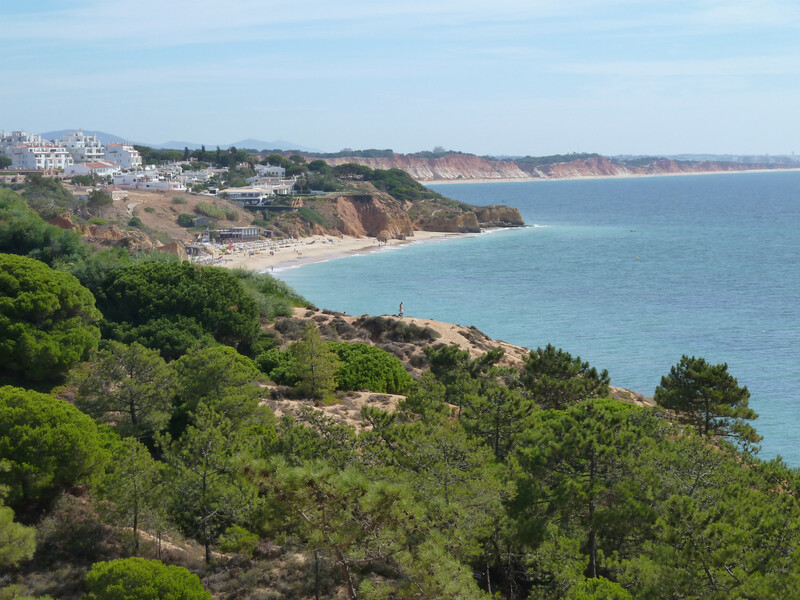 There are many other nearby beaches, the colourful Praia da Oura, the picture postcard beach of Santa Eulalia, Maria Luisa beach, home to Club Med, the beautiful fisherman’s beach of Olhos Agua, not forgetting the stunning long stretch of beach of Falesia. Other stunning beaches, can be found west of Alfufeira’ (mainly Blue Flag Beaches), including the stunning Sao Rafael beach, Arrifes beach our personal little hideaway favourite beach, then there is Coelha beach & many more going towards Gale resort, including the pretty beach of Lourenco in Gale and the main beach in Gale with a long stretch of golden sands, all with own restaurant cafe & bar! East of the Albufeira, you’ll also find many more amazingly beautiful beaches, your local Fisherman’s beach, colourful Praia da Oura beach, the picture postcard beach of Santa Eulalia is a must visit beach, the beautiful Maria Luisa, the very pretty Olhos de Agua, not forgetting the spectacular long stretch of sandy beach of Falesia. You do not need a car staying at this villa. If you want to explore all of the sights & beaches of the whole of Albufeira, you have the Giro Albufeira buses bus stop 100 metres from the villa. Or, if you need private transport, we have negotiated very special private mini bus transfer prices for you from only €10 per each way, picked up from the villa to anywhere in the whole of Albufeira. Details will be given with your documents and in the villa. Algarve is not only a paradise for beach lovers, it is also for golfers, with the best golf courses in the world are all within easy distances. Golf Academy and golf range is within 2 km from the villa. 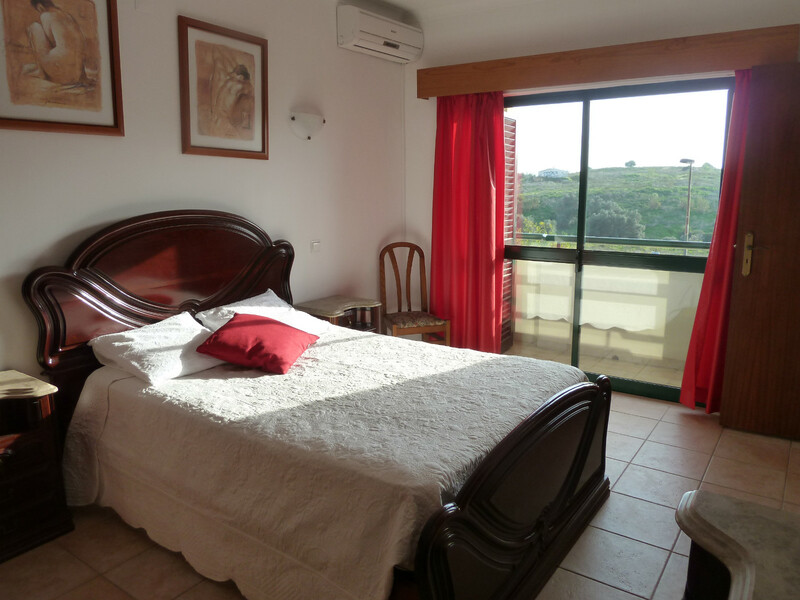 Spacious bedrooms located on the 2nd floor of the villa, ensuring great all round views. The bedrooms come complete with built-in wardrobes, free standing chest of draws with mirror, bedside cabinet/s, double glazing, sliding double doors with shutters and each with a private balcony. There is also a safe in the master bedroom. All of the bathrooms, are light and bright, compact bathrooms, fully tilled from top to bottom. Walk in showers, basin, mirror and W.C. The vila entrance is on the ground floor! All prices include a complimentary:- Milk, Water, Biscuits, etc. Situation idéale, pas trop loin du centre ville mais pas trop près pour des nuits calmes Villa Calicos, Calicos, Albufeira, Portugal. Nous étions 5 jeunes filles et nous avons passés un séjour magnifique dans cette villa, elle était très propre avec tout ce qu’il faut! Carlos a été disponible durant tout le séjour en nous facilitant dans les transports ou encore pour le choix de bons restaurants. Le Lidl et Aldi se trouvant à 5 minutes à pied de la villa, nous avons pu faire toutes nos courses sans utiliser de transport particulier. Je reviendrai surement avec ma famille l’année prochaine, Albufeira est une ville vraiment chaleureuse et très vivante! EXCELLENT VILLA IN GOOD LOCATIONG Villa Calicos, Calicos, Albufeira, Portugal.